One area in which Microsoft works to make a difference socially within Citizenship is through Community Affairs. Microsoft has successfully established an extensive network of non-profit partners to support community-based programmes and local projects that will enable more people to have access to technology. They help various major charity projects both financially and through gifts in kind. In addition, they support the investment of their employees in the community. 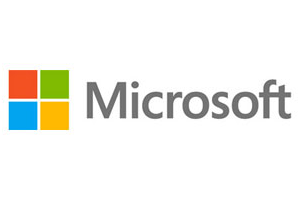 As part of Microsoft's Affordable Access to Computing programme, Microsoft operates the Microsoft Software Donations programme through Technology Trust's tt-exchange programme, providing support and software donations to registered charities in the UK. Microsoft has updated the product offerings and rules for participating in this programme. This change allows Microsoft and tt-exchange to continue to provide nonprofits with the technology they need to achieve their missions. • Certain on-premises software products from Microsoft are no longer available through tt-exchange as donated products. However, these products will soon be available through tt-exchange as discounted products for eligible UK registered charities. • Eligible organisations are no longer limited to requesting donated products from a maximum of 10 title groups during their two-year cycle. Instead, organizations can simply request up to 50 or 25 of each donated product and up to 5 donated server products that don't use core-based licensing per two-year cycle. • The most popular on-premises software products from Microsoft are still available as donated products to eligible UK registered charities. • Request limits for donated products will still be reset every two years. • All other programme rules, eligibility, and restrictions have remained the same. For more information, see the Microsoft Software Donation Programme – Eligibility, Allotments, and Returns page. The programme is one of tt-exchange's most popular resources. You can choose from hundreds of professional and enterprise Microsoft products for your organisation. Which Versions of Microsoft Software Are Available? The names of products in the Microsoft programme don't include version numbers. When you receive a product, you can choose to download the current version of the software or the previous version. You can find out which version is the current one on the Current Versions of Microsoft Products page. In addition, you can download the software in any language that's available. tt-exchange encourages organisations to visit our overview of the Microsoft donation programme. There, you can learn about the quantity of products an organisation can request, special rules for software installed by public libraries, and specific procedures to follow for returns. The page also provides an overview of the benefits and rules of the Microsoft Volume Licensing programme, through which the donated products are made available, along with links to help you find additional information at both tt-exchange and Microsoft.